Formerly known as BreakOut, Arkanoid reinvents the genre with power ups, retro references, and enemies. I kid of course about BreakOut, that game is a completely separate game made by a different company. But, the point remains that everyone who has played video gaming more than once is familiar with this style of game. There are plenty of people who have never played a First-Person Shooter or an Adventure game, but anyone familiar with the hobby knows the game where you hit the ball at the blocks and they break. It’s about as ubiquitous as Pac-Man, but not quite Pong. Most of this is because BreakOut/Arkanoid clones were released all over the web and mobile completely for free. There’s some variation to how those games function and I can’t recommend the article in the show notes enough to help explain what makes a BreakOut game what it is. 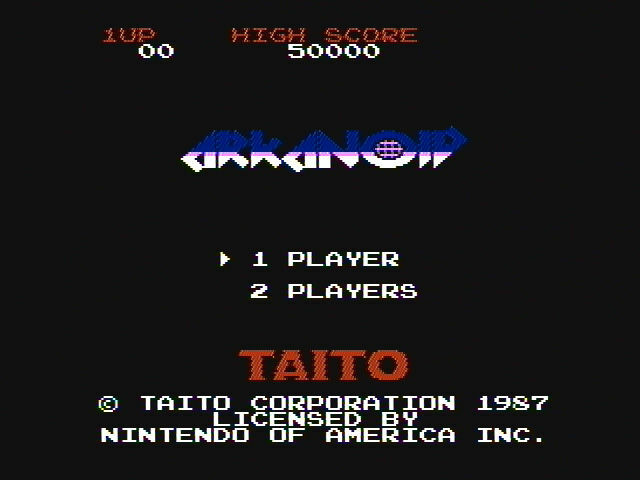 All of this to say, if you’ve played any of the free versions available on the web or mobile, this version of Arkanoid on NES is not going to offer anything worth spending time on. You are a highly trained Galactic commando deep in enemy territory. Power hungry leaders of the repressive Bungeling Empire have stolen a fortune in gold from the peace loving people, and you've just discovered their secret underground treasury. Would you rather ride an elevator to work or RIDE AN ELEVATOR IN THIS GAME?! Find out what we think! You are the commander of the Vaus! A spaceship required to hit a giant spaceball at enemy hats and aliens. Do I need to repeat? It's Miyamoto's dream come true as Popeye finally makes it to the NES and we finish the Famicom Launch games! In this PIPIN' HOT episode of NEStalgia we go into the sewers to join the Mario Bros. before they head out to the Mushroom Kingdom. 019 - DONKEY KONG JR. In this episode of NEStalgia, we're moving to a different section of the Arcade. Get ready to flip out for Pinball!